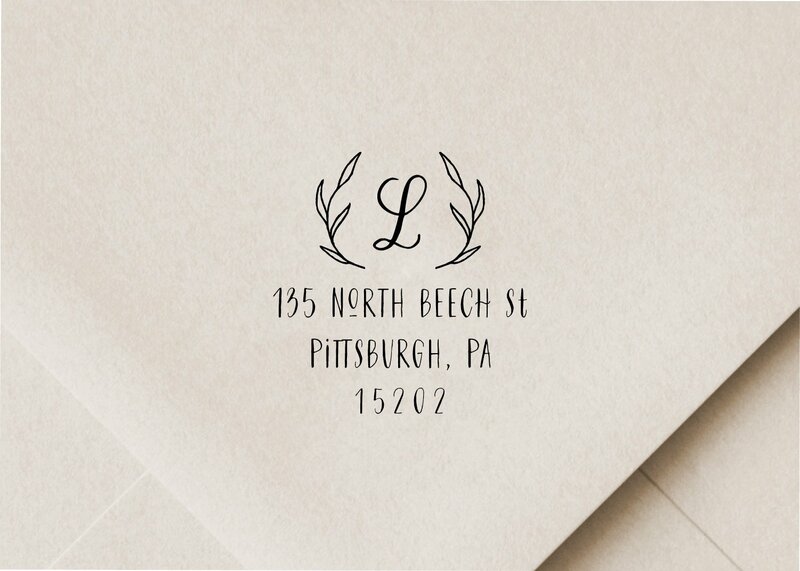 Does your hand cramp up at the thought of writing your return address 100s of times? Mine does! 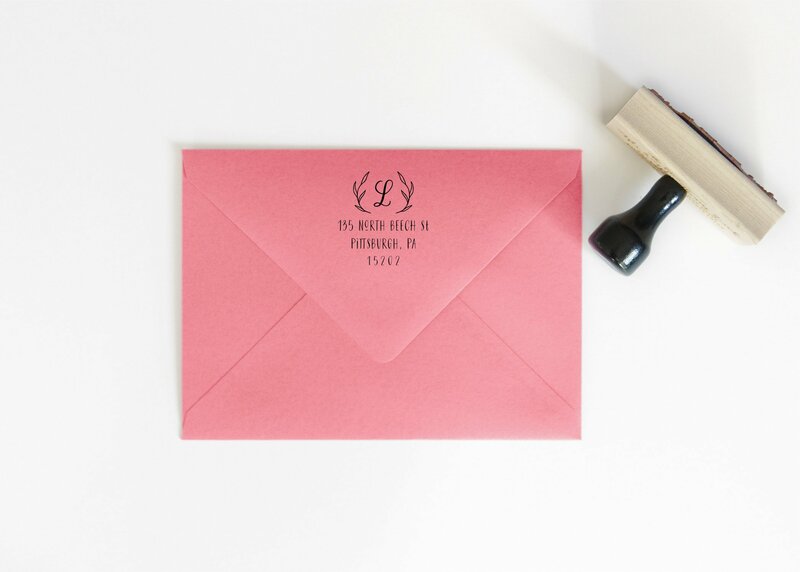 These custom stamps will not only save you from the dreaded hand cramp, but they also add a beautiful touch to your envelopes! I just love how a stamped return address looks on the back flap of an envelope. Now with more flexibility! Choose from either a wood address stamp or a Trodat self-inking stamp, and pick your ink color as well. 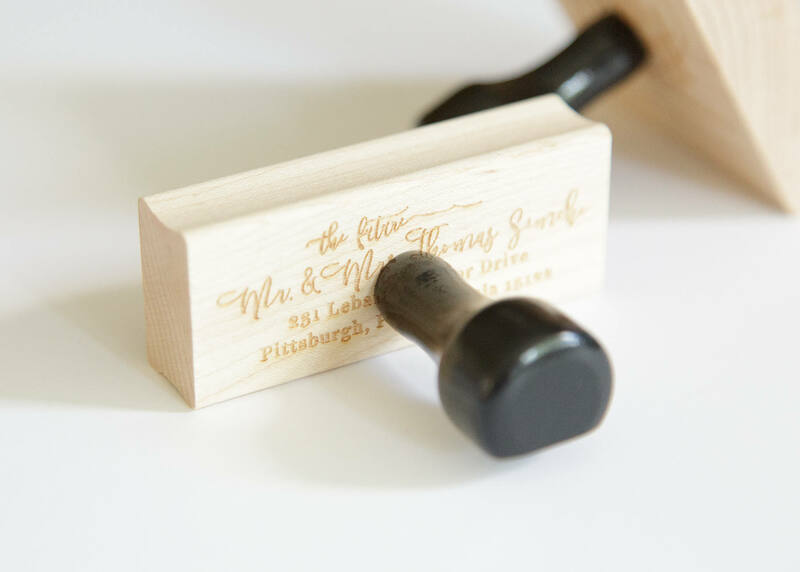 If you’re purchasing a wood stamp and you’d like more ink pad color options, additional colors and types of ink pads are available here. 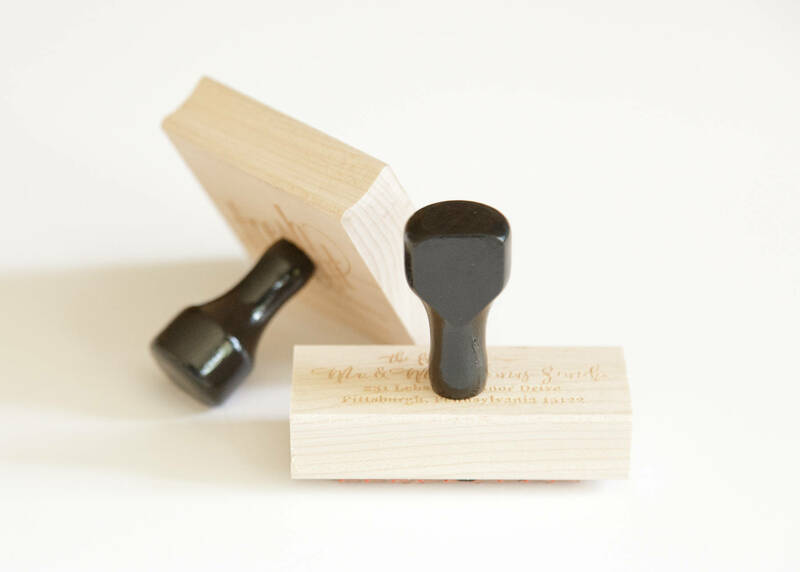 First, choose either a wood stamp or a self-inking stamp. I personally love the wood stamps, because you can change ink colors at will! Wood stamps arrive with handle installed. 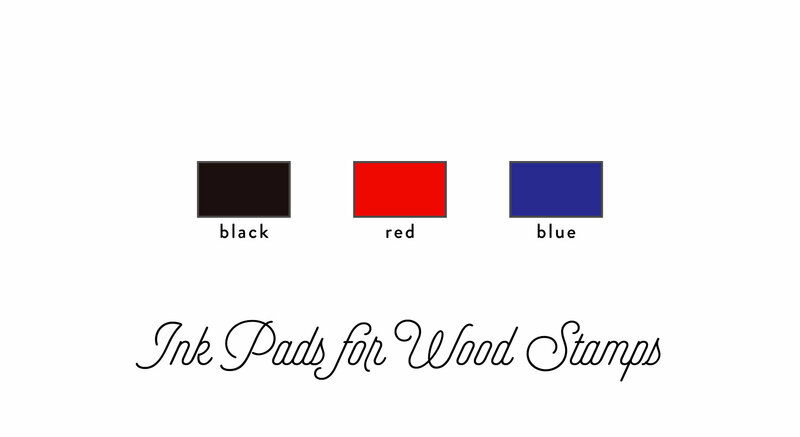 You can also choose to add on a standard felt ink pad in blue, red, or black! The self-inking stamps are the highly respected Trodat brand. 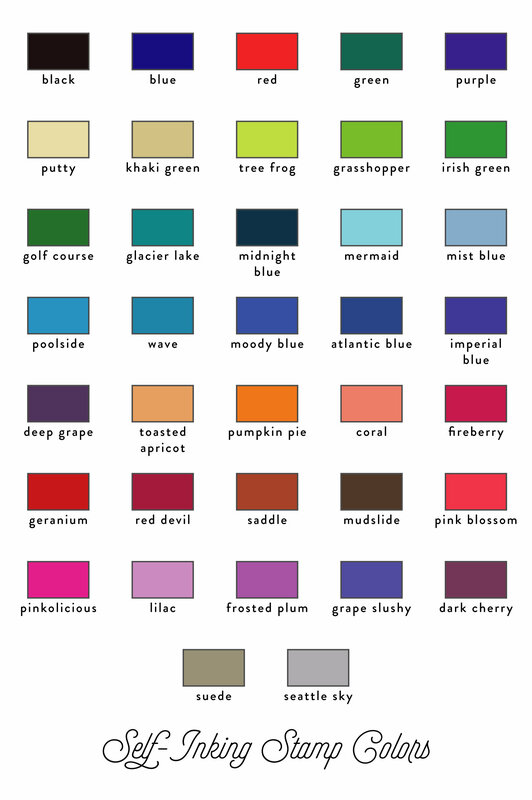 Choose from a variety of colorful inks, which will last for up to 10,000 impressions! Note that you cannot easily change ink colors with self-inking stamps. Next, enter the desired name and address exactly as you’d like it to appear on the stamp. I will contact you within 1-3 business days with a digital proof of your design. Once you approve your proof, the stamp will be delivered to you in about 5-7 business days! 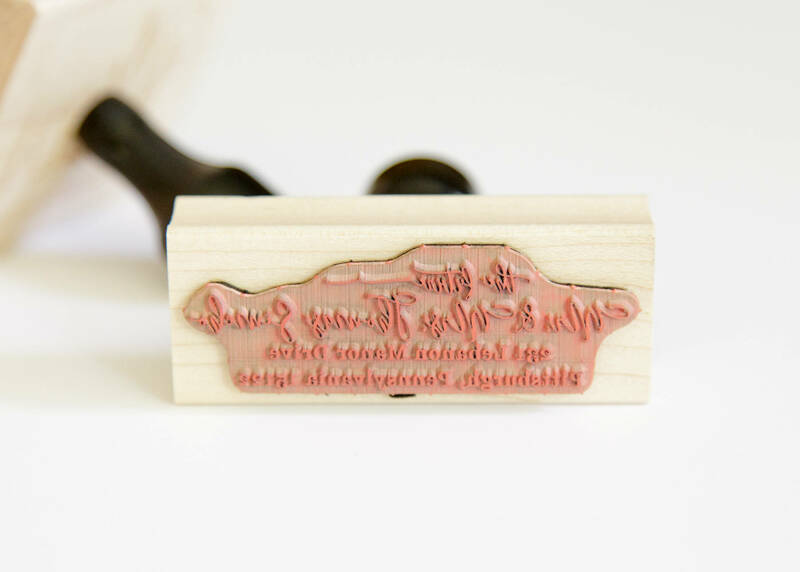 This stamp is 2″x2″. Stamp previews shows an accurate size on a 5×7″ envelope.